Timmy Hill picked up the 7th last-place finish of his Monster Energy NASCAR Cup Series career in Sunday’s Gander Outdoors 400 at the Dover International Speedway when his #66 Ternio Toyota fell out with transmission issues after he completed 35 of 404 laps. The finish, which came in Hill’s 80th series start, was his second of the year and first since Chicagoland, 13 races ago. In the Cup Series last-place rankings, it was the 53rd for car #66, the 78th from transmission issues, and the 152nd for Toyota. Across NASCAR’s top three series, it was the 63rd for the #66, the 158th from transmission failure, and the 304th for Toyota. Hill’s last-place run at Chicagoland proved to be a turning point for his part-time Cup Series effort with Carl Long’s team, Motorsports Business Management (MBM). 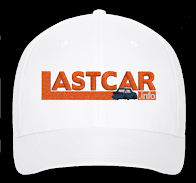 After weekly backing by attorney James Carter’s personal injury firm CrashClaimsR.us, the #66 finally attracted the first in a series of new sponsors at Kentucky - cryptocurrency program Crypto Crow. At Pocono, the Lehigh Valley Phantoms youth hockey team joined the effort, the team splitting time with Josh Reaume and his #33 Truck Series effort. Rewards.com joined at Michigan and also funded the 2000 Darrell Waltrip throwback scheme team owner Carl Long had originally planned to run at Darlington in 2017. Beef Jerky Outlet backed Hill’s best Cup finish of the season at Bristol, a 28th-place run under the lights. And at Indianapolis came Ternio, another blockchain framework. 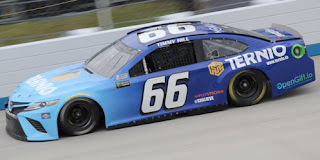 The blue Ternio scheme, nearly identical to Martin Truex, Jr.’s Auto-Owners Insurance scheme on the #78, finished 35th at the Brickyard, 39th at Richmond, and 38th last week on the Charlotte “Roval.” The paint job would return at Dover, where Hill would run double-duty with the XFINITY Series. 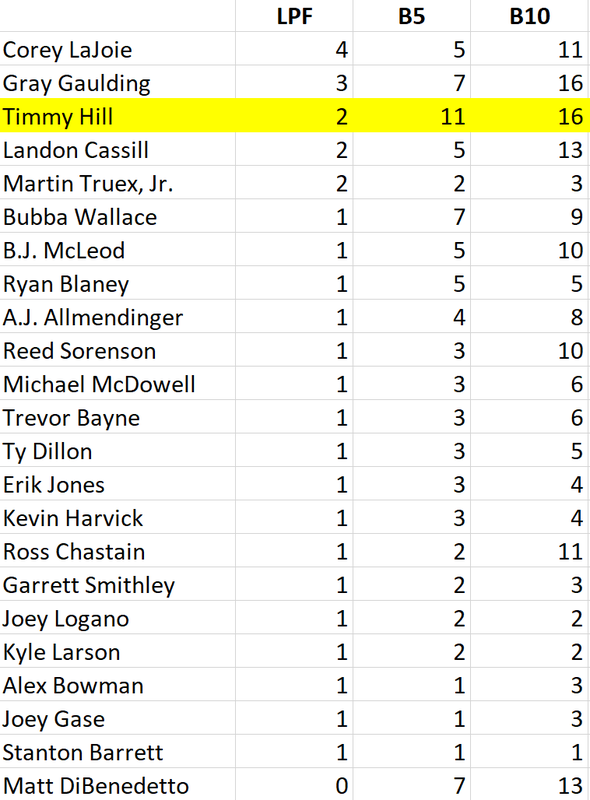 Coming into “The Monster Mile,” Hill had qualified for 24 of the first 28 races on the XFINITY schedule, all of them for MBM. 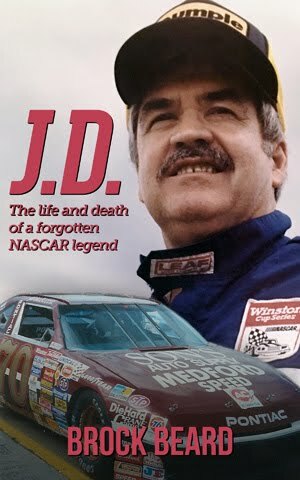 By last weekend, he’d made at least one start in all three of Long’s cars - #13, #66, and #72 – driving a combination of Chevrolets, Toyotas, and Dodges. His best finish was a surprising 7th in the July race at Daytona. 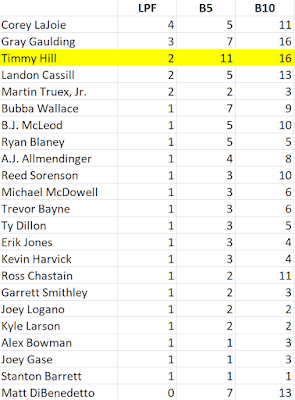 In each of his other 23 previous starts in 2018, Hill had finished no better than 27th, which came at Talladega in the spring. That changed on Saturday, when Hill ran 27th once more in the #66 Dodge. 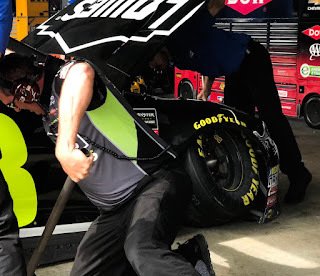 Hill hoped to turn in another surprising run on Sunday, though with qualifying rained out, his part-time “open” ride would have to line up 38th in the 39-car field. He’d run 38th in the weekend’s only practice session. Starting 39th – and also last in practice – was Harrison Rhodes, a former XFINITY Series driver for JD Motorsports, who was making his return to the Cup Series for the first time since April 20, when he drove for Rick Ware Racing at Richmond. Rhodes would again drive for Ware at Dover, though this time in Ware’s second “open” car, the #52. 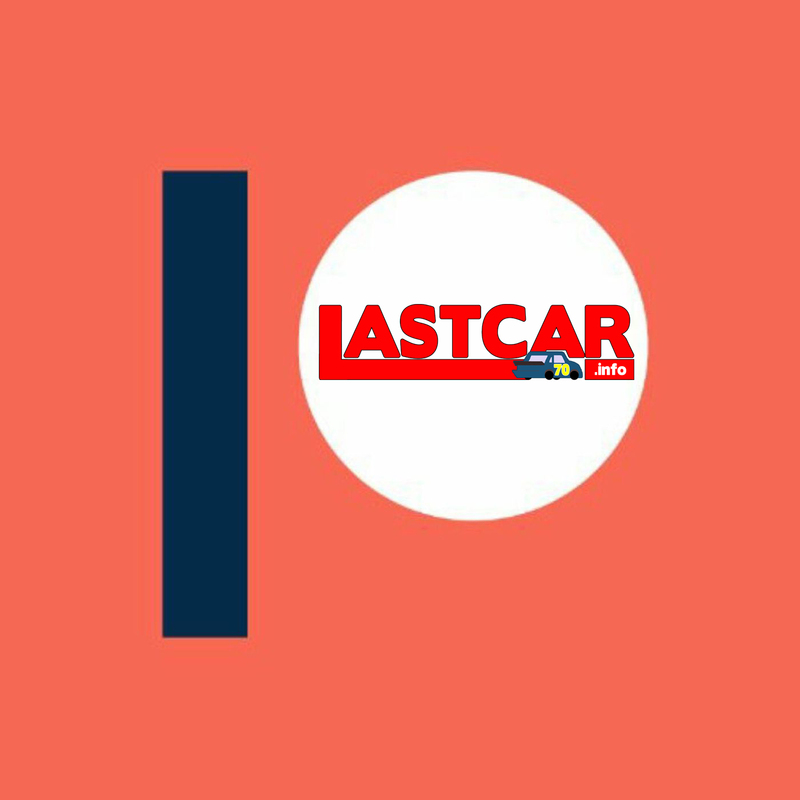 Like MBM, the second Ware car had acquired a number of new sponsors in recent weeks, most recently at Richmond, where last-place finisher Gray Gaulding was backed by the Live! Hotel & Casino in Maryland. Rhodes’ sponsor was The Medicine Shoppe of Columbia, Pennsylvania. Like Hill’s blue Ternio car, Rhodes’ #52 resembled another playoff contender’s paint scheme – specifically, the Sun1 Energy Chevrolet of Chase Elliott. failed on the pace lap. Joining Rhodes at the tail end of the field on Sunday was Bubba Wallace, whose #43 World Wide Technology Chevrolet qualified 29th, but failed pre-race inspection three times. Moments later, 13th-place starter Jimmie Johnson began to slow noticeably, the right-front wheel of his car shaking visibly. As NASCAR reported debris in Turn 3 on driver’s left, possibly off Johnson’s #48 Lowe’s for Pros Chevrolet, Johnson took a turn down pit road, then steered into the garage. The driver reported he hit the splitter hard during the pace laps, and felt something break in the front of the car. The crew discovered the lower ball joint failed, twisting the right-front wheel upward until the weight of the car caused the suspension to collapse. Repairs in the garage area forced Johnson to miss the start of the race, much as Austin Dillon had at Texas last year and Hill himself driving for Premium Motorsports at Indianapolis and Michigan in 2015. As in those instances, the event threatened the Cup Series’ first last-place finish due to a “did not start” since September 5, 1993, when Bob Schacht’s #85 Burger King Ford missed the green in the Southern 500 at Darlington. But, as in those same instances, Johnson managed to return to the track. The #48 was rolling again on Lap 8 and completed its first lap on the 10th circuit, 10 laps back of the lead. He remained in 39th, threatening to give the #48 only its second last-place run in a Cup race at Dover, its first since Freddie Crawford’s early exit on June 3, 1990. Hill, meanwhile, had slipped behind Rhodes on the start, and the driver reported his car was shooting up the track in Turn 1. 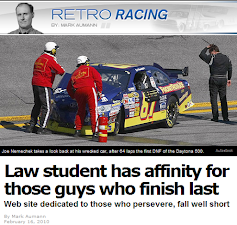 He was a lap down by the 17th circuit, and had dropped to 12 laps back by the 46th circuit. That time by, Hill pulled his own car behind the wall, parking his Toyota in an infield stall facing Turns 1 and 2. After several minutes of radio silence, communication picked up on Lap 94, when Hill’s car was listed “unavailable.” The crew said something broke either in the engine or the input shaft to the transmission, remarking that the fluids were fine but “whatever it is is big.” The team then proceeded to load up their equipment, allowing the team’s VIPs to stay in the pit box as the race continued. Located in Stall 31 between Daniel Suarez and Ricky Stenhouse, Jr., the box was closer to Turn 4, some distance from the #66 itself. Rhodes finished 38th, but didn't pull into the garage until late in the final stage with brake issues. The 37th spot fell to Ross Chastain, who one day after being eliminated from XFINITY playoff contention saw his #15 Use Your Melon Drive Sober Chevrolet lose a right-rear axle on the track in Turn 4, damaging Joey Logano's passing Ford. Johnson worked his way to 36th by the finish, just one lap short of 35th-place Clint Bowyer, whose own playoff chances took a hit with a loose wheel, then a hard hit in the Turn 3 wall in the #14 Haas VF1 / Rush Truck Centers Ford. *Hill has now finished last in three fall Cup races at Dover. His two consecutive lasts in this event were preceded by a short afternoon for Team XTREME Racing on September 28, 2014, when his #44 Phoenix Construction Chevrolet had a vibration after 11 laps. Altogether, Hill has finished last in half of his previous six Cup starts at Dover.